love your bag! and your hoop earrings are super fun. 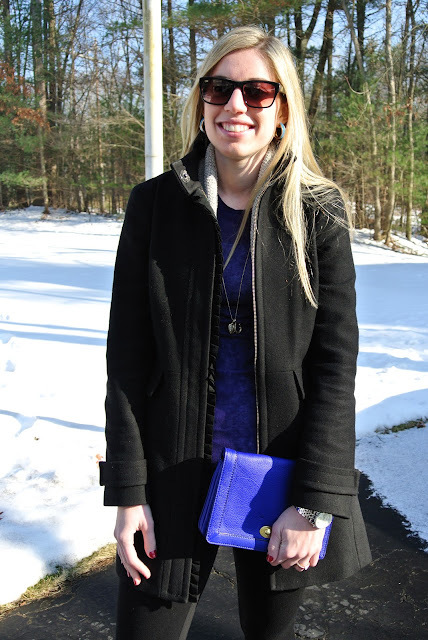 I love love love the black, gray and cobalt together - so cute Lauren! You look so fab Lauren! The pops of purple are so pretty on you:) I love your sunglasses! Oh I love that shade of purple/blue! !